Last Updated: Apr. 04, 2016 · 12:48 p.m. Think maybe AI is ever so slightly happy about having Jimmy Butler on this team? Fans came to see AI play. Instead they got Fat Joe. Here’s a running diary. 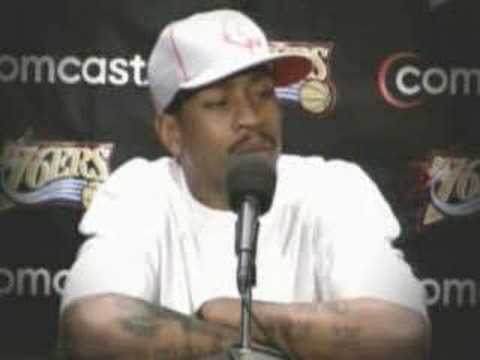 AI said at the advice of doctors, he's sitting out his return to Philly. Will still coach and hang out with fans. Joel Embiid, Ben Simmons and all the injuries, setbacks and potential superstar moments in between. "I live in Charlotte, so I went to a Charlotte [Hornets] game. [Jordan] was in the back, so we was talking and I was telling him how much I loved him and admired him and telling him how much he was my hero. And he was like, 'Well, I couldn’t have been a hero to you if you crossed me like that.'" Iverson's ex-wife and daughter are modeling his new Question Mids, which were designed by Melody Ehsani. 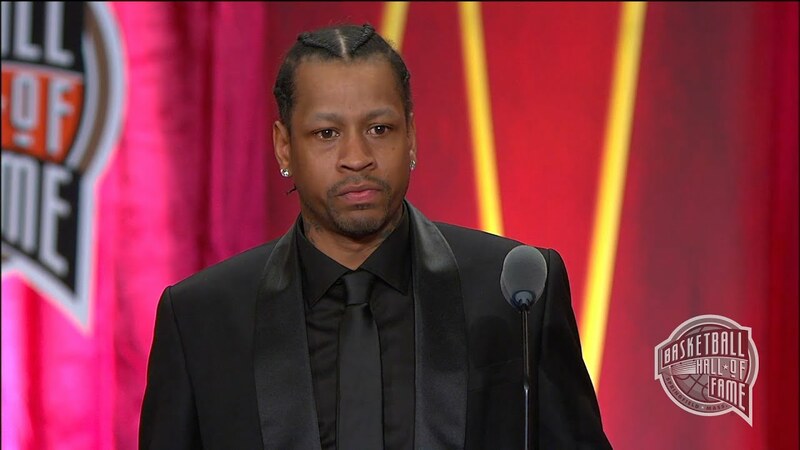 Iverson was inducted into the Naismith Basketball Hall of Fame Friday night. He gave a gut-wrenchingly personal speech, that was vintage AI. Like his game, this is must-watch stuff.